Happy Friday! I can’t believe it’s the last day of the month. 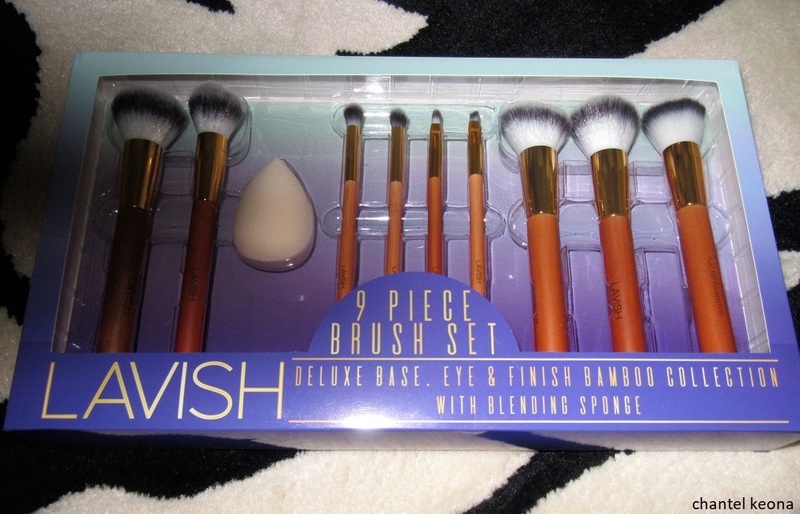 A couple of weeks ago I was doing some shopping with my mom and one store that we went to was Burlington and after browsing for a little while I came across this beautiful 9 piece brush set and now, I’ve had some time to test out these brushes so I figured now is the perfect time to share all the deets with my lovely readers. Who here has dry skin? [insert raised hand emoji] it’s o.k. to admit it we are all friends here. 🙂 Lately I have noticed the older I get the more dry my skin becomes [cue violin] I’ll be 30 in a few months, anyway back to the topic at hand when I was younger my skin would only get dry during the cold winter months but now it’s all year round even during the summer. 😦 I also have a Rottweiler that I’m always playing with so I constantly find myself washing my hands literally a million times a day, o.k. not literally but you get my point. About a month ago my mom gave me this set of Epoux Hand Creams and I am so happy she did because as a beauty blogger/editor I love trying new skincare products so keep reading for all the deets. I have always been interested in trying out temporary tattoos they are so cool because you can choose anything you want and then when you’re over it you can easily remove it and try something new. I have two permanent tattoos that I am in love with. A couple of months ago I was contacted by Earth Henna to try out their all natural black temporary tattoo kit and earlier this week I finally was able to play around with it. If you’re interested in learning more about Earth Henna then keep on reading for all the deets. A couple of weeks ago I was lucky enough to receive this Dr Teal’s Pure Epsom Salt Soaking Solution via Influenster to test out and see how I like it. I have been using this bath product for a while and now I’m ready to share my thoughts so keep reading for all the deets.